One of 4 official places to find an exclusive Nightwalker track, this one might be the most frustrating to collectors. 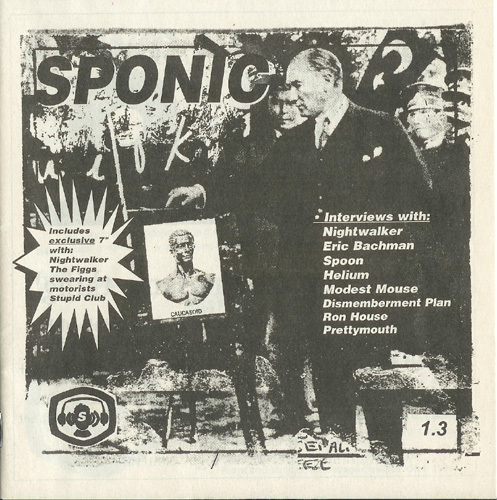 Similar to the hard to find GBV track, "Scorpion Lounge Shutdown" from Ptolemic Terrascope Magazine #24, this exclusive Pollard track was etched into a piece of wax and included in a fanzine. And like "Scropion Lounge Shutdown," this song is not very good. Apparently, "One Track Record" is an outtake from Robert Pollard's 2nd solo outing Waved Out. The Nightwalker moniker was placed up this one, and the rest is dustbin history. Limited to 1000. One Track Record- 2 Just as lo-fi and muddled as other Nightwalker tracks, but this is more of a three minute Suitcase outtake than some of the nightmare surrealism. Bluesy, sludgy improve with distant screaming. Clips in and out for the last minute of the song in 10 second intervals, like a dying record player. The first snippet of the song is "Rainbow Billy" from Suitcase 1! Whoa! Thanks for that insight!! That’s awesome.